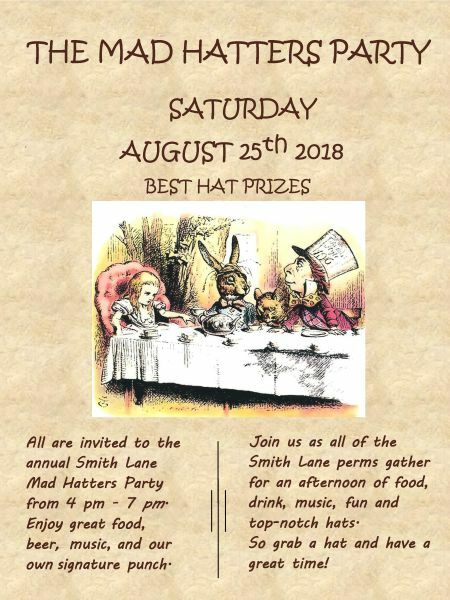 Come to the annual Smith Lane Mad Hatters Party. Enjoy food, beverages and our signature punch. Grab a hat and join the great time.